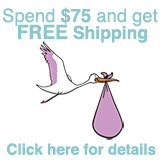 The pregnancy and ovulation wheel calculator can help pinpoint the days on which you have the best chance to conceive. Once pregnant, the calculator will also help you to chart pregnancy milestones. It is adjustable from 22 to 34 day menstrual cycles, and calculates when your fertility cycle should begin as well as your ovulation day. It can also calculate the day the fetal heartbeat can be heard, the beginning and end of trimesters, and when your menstrual period begins. 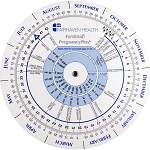 The pregnancy and ovulation wheel calculator is the same compact 5 ½” version that doctors, nurses, and midwives use.